Welcome to undoubtedly the best offer you can get in 15$! So What makes this service #1 ? 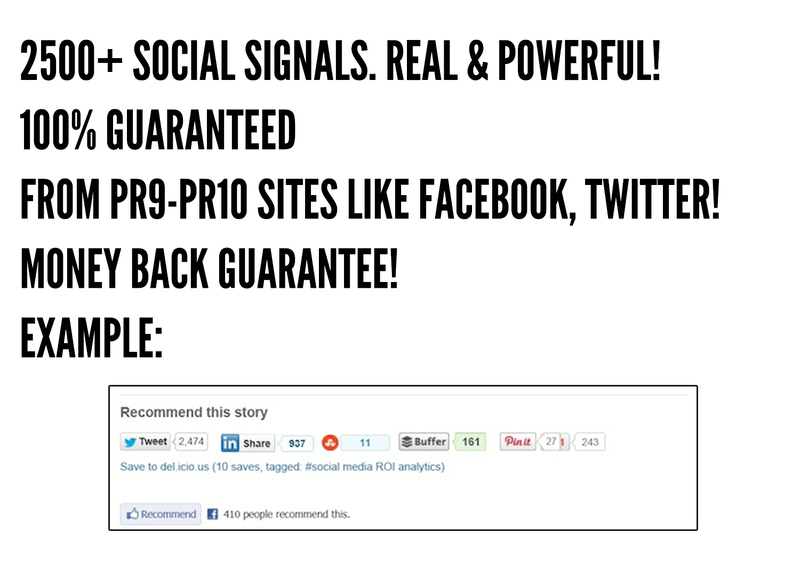 ✔ All of the social signals will be generated from top PR9-PR10 websites like Facebook, Tweet, Google+, StumbleUpon etc to look perfectly natural to google and to boost your ranking! 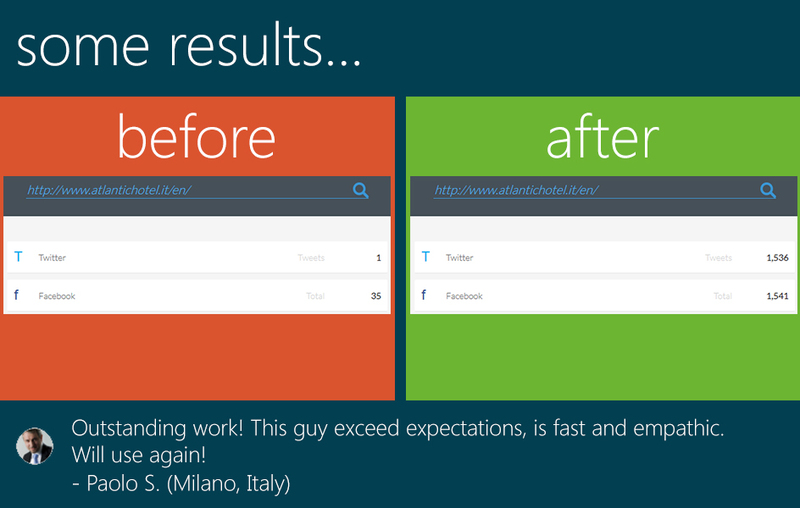 ✔ Top notch customer support, super-fast turn-around time. ✔ Works perfectly for all niches and types like: websites, blogs, YouTube, Dailymotion, MetaCafe, Kickstarter or Indiegogo campaigns, pages on IMDb, iTunes, SoundCloud, Amazon, Reverbnation... and the list goes on! Google has changed its algorithm a lot and if you want to rank higher in Google, you need Social Signals. And you need a lot of them. 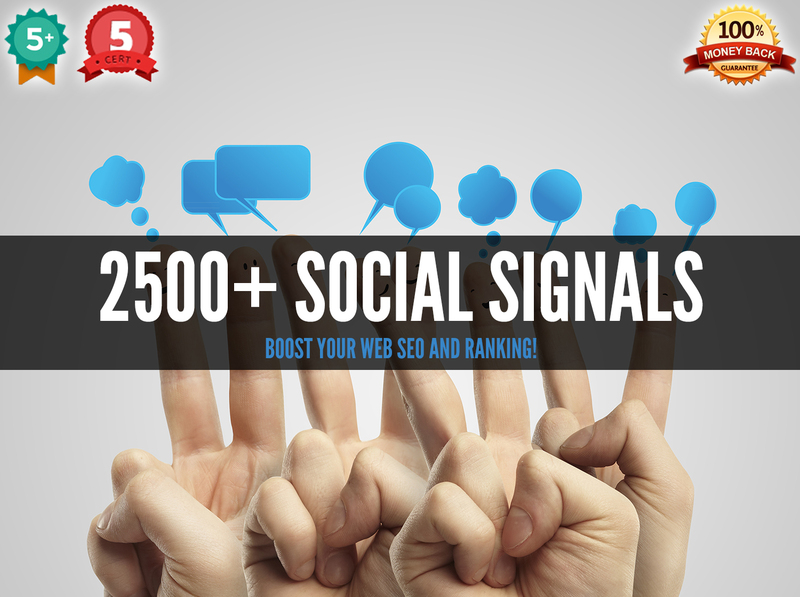 Social Signals add credibility and authority to your website and correlates to better search engine optimization and ranking of your website. Word of caution: most of the sellers don't provide real and high retentive Social Signals. But the ones that you will get in this hourlie will be absolutely real and will remain there in your website forever. So order now and make the most of this offer! 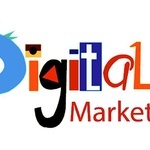 If you have custom requirements like you want to add social signals on different pages of your website, contact me and I will provide you the best possible solution to that as well! We just need your website URL to start the work. Thank you. Would love to work with you again. Thank you so much. Would love to work with you on more projects. Amazing service, will be back! Thanks much. Would like to work with you again. The best. He didn't stop until he found solutions to my issues. He is a super star. Quick communication and great communication too. Great experience all round. Thank you so much. Really nice buyer! Would love to work with you again n again. Thank you so much. It was a fabulous experience with you. Excellent. Great service and seller. Thank you. Look forward to providing more services to you.